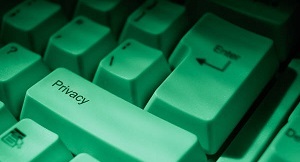 Synergyst Research is committed to ensuring that your privacy is protected. Should we ask you to provide any information by which you can be identified while using this website, you can be assured that it will only be used in accordance with this privacy statement. To periodically send emails about our services or other infromation that we think you may find interesting using the email address, which you have provided. You will be offered the choice to opt out should you choose not to receive our emails or other types of communication. In order to prevent unauthorized access or disclosure, we have physical, electronic and managerial measures and procedures put in place to secure the safety of the information we collect online. If indicated, we may use your personal information to send you information about third parties that we think you may find interesting. You may request details about the personal information we have obtained about you under the Data Protection Act 1998. If you would like a copy of the information we have on record for you, please contact us. A small fee will be applicable. If you believe that any information we have about you is incorrect or incomplete, please contact us as soon as possible. We will promptly correct any information found to be incorrect. Synergyst Research Group may change this policy from time to time by updating this page. This policy is effective from January 1, 2013.